We now stock a range of accessories for the Equinox Metal Detector Series which you may find here. These include the 6" round DD coil and the 15" elliptical coil plus a range of spares and other accessories. 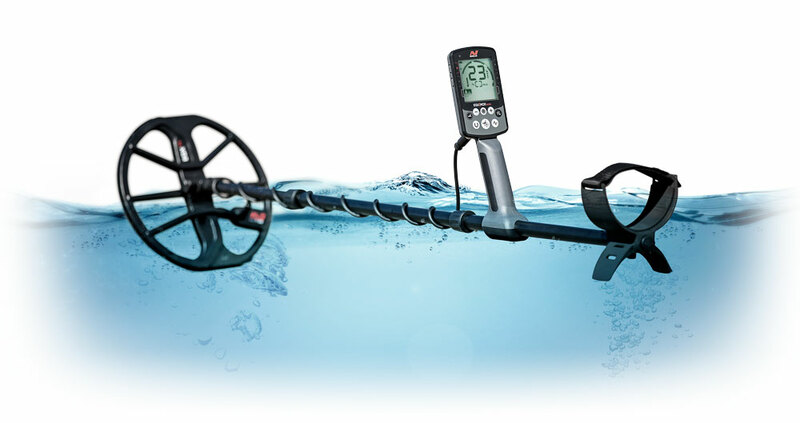 The EQUINOX Series features Minelab's all new Multi-IQ simultaneous multi-frequency technology and combines fast recovery speed with depth in any ground type and features low latency wireless audio. Customers buying an Equinox from us between the 20th of March and now can get an upgrade to our Carbon Fibre Shaft for half price. If you are buying an Equinox from us between the 10th of April and the 18th of May can claim a free ticket to our Equinox Masterclass. A few detectors on the market claim to be multi-frequency, but these simply switch different between single frequencies, operating on just one at any given time. The Equinox is unique in offering true simultaneous multi-frequency detecting. The best of all worlds with low frequencies picking up large, deep targets and high frequencies sensitive to small objects, all in a single pass of the coil. Plus you have the wide range of single frequency settings for more specific needs. Waterproof for up to 3 meters, the Equinox is ideal for detecting in rivers, lakes and surf, or snorkeling in shallows. Four modes with two custom profile for each. 5, 10, 15, 20, 40 & Multi. A range of -9 to +9 in Manual mode, or Auto. 50 segment notch discrimination: -9 to 0 for Ferrous, 1 to 40 for Non-ferrous. Waterproof 11 inch Double-D Smart coil with cover. Monochrome LCD with variable brightness backlight. In-built rechargeable Lithium-ion battery; Approx 12 hours run time. Waterproof to 3 meters, 10 feet. USB Charging cable (1.5A), Multi Language Screen protectors. Via USB connection on Windows and OSX. 3 years control box and coil. 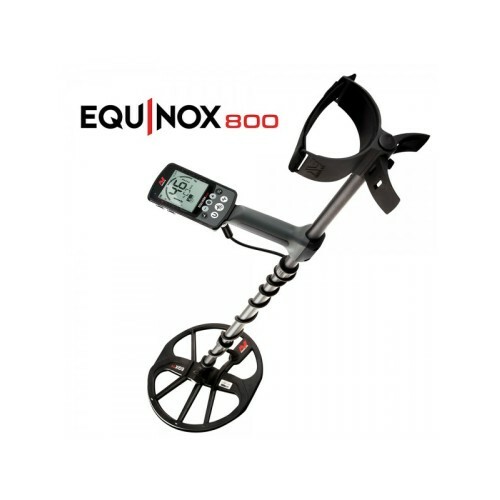 You can read more about the Equinox 800 on Minelab's own website. More Equinox videos available on Minelab's Youtube channel here. Can't decide whether to go for the 600 or the 800? With glowing reviews of the two machines already coming in it is clear that both models are living up to the hype and are worthy of consideration for any detectorist. But you may be asking yourself whether you actually need the extra features of the 800 version. This comparison table will show you the key differences between the two models and help you decide which Equinox is the right detector for you.